In a religious country like India flowers would never go out of fashion or out of any market trend. FlowerAura, the most prominent floral gifting brand, not only delivers scintillating flowers and heart-touching gifts but also delivers the pure emotions of love and affection across the country. 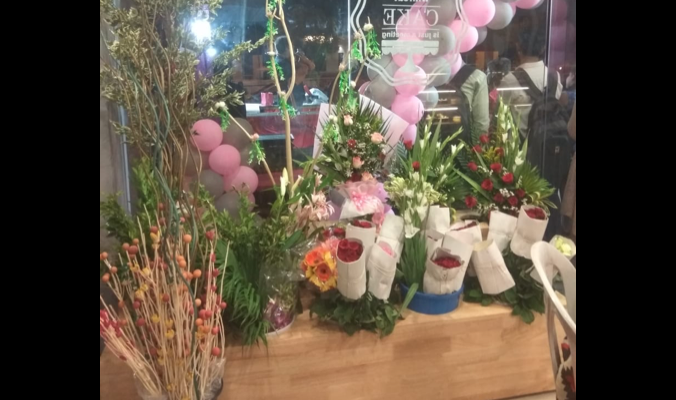 Started with the online store in 2010 in Gurgaon, by enterprising Mr. Shrey Sehegal and Mr. Himanshu Chawla, the brand has successfully built a whole new edge to the flowers and gifting culture in our country. We at FlowerAura, believe in one mantra -delivering the best quality! We deliver freshly cut flowers in more than 200+ cities across India with the help of our powerful affiliate network and 16 channel stores. In this large business environment, we try our best to stay fully committed to our customers and associates. FlowerAura is also working hard to mark its presence in the small towns and every nook and corner of the country. The dynamic team with strong technical and operational skills enables FlowerAura to provide smoothest flowers and gifts delivery with a competitive price to the customers. The highly delightful combination of flowers and other enticing gifts like cakes, chocolates, teddy bears, sweets and many other items can make any special occasion ever-memorable for you and your loved one. With the family of 7 millions + of happy customers, our main objective is to deliver that special smile on everyone’s face with the perfect floral gift options. When it comes to defining the success, we always measure it with the satisfied customers. Have you ever wanted to start your own floral business but your mind is muddled with some negative thoughts of taking such a financial risk? 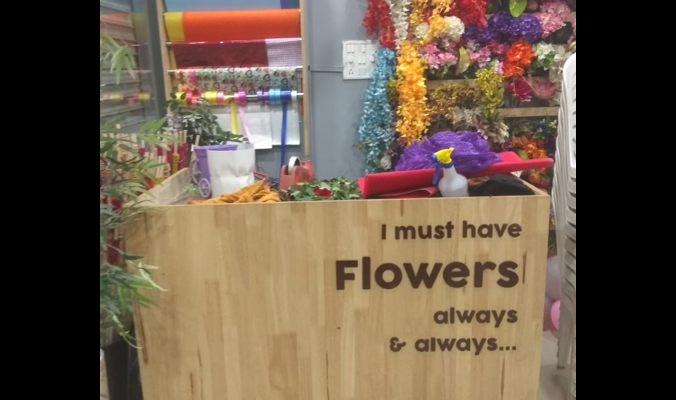 No wonder, flowers have always been holding the place of top gifting item on Earth, and therefore, starting a business of your floral store is a great idea. 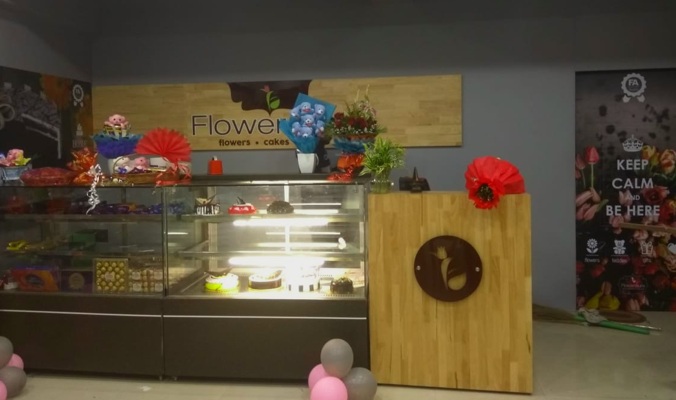 When it comes to finding the best business avenue that can reduce the risk of financial loss and help you to achieve your goal, hardly anything could be a better deal than taking the franchise of a floral business. 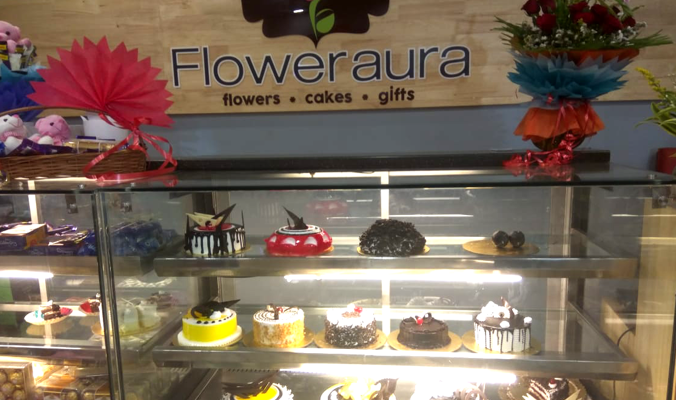 You can seriously give a solid kick-start to your business venture by taking up the franchise business offered by FlowerAura. Now, you might be wondering to know- why FlowerAura, when you have so many brands that deal with flowers and gifts? Well, it’s time to know the reasons why taking a franchise of FlowerAura would seriously be one of the most profitable business decisions of your life. The size of your store should be at least 200 to 300 square feet, and it should be situated on the ground floor only. Your store should be placed in a high-density residential location so that anyone can locate them without facing many difficulties. The store should have a road facing the front of minimum 10 feet. A shop near the road facing front always performs better business than a shop which is away from the street facing. You need to meet all the financial requirements. You should be ready to devote all the time and energy in the store. We believe in the theory of hard-work and dedication, and as a part of our family, we also expect the same effort from your end. Customers are the king, and your good behavior and service will always help to retain the customers. You need to have the ability to build a good and healthy relationship with the customers. You should have the ability to manage FlowerAura SLA (smart delivery app tailored for you) properly. You should have efficient team management skills as the success of your store strongly depends on your team. When it comes to preserving the brand value of FlowerAura, you need to take up the responsibility seriously. We haven’t made this value overnight; rather we have been using each second of the span of last 8+years to make it an entirely customer-focused organization. You can be a part of a floral brand that has a very positive national level reputation in the market. The expert team of FlowerAura provides the best help in selecting the right location for you. When it comes to setting up a franchise, you will have complete support, technical assistance and guidance provided by our specialized team. The software provided by FlowerAura makes the entire operations in your store a cake walk. Using this smart software you can handle all the invoicing, accounting, and operation online without experiencing any hassles. FlowerAura provides the complete advertisement support to your store that includes banners, posters, and signboard, etc. You can get the exclusive products like teddies, packing materials, and dry fruits at the wholesale price from FlowerAura. The particular delivery app provided by the FlowerAura ensures the smooth delivery within the SLA time, and it allows you to check the performance quality of the delivery boy. This app is your all in one solution for providing best in class delivery service to the customers. We always provide the regular support to you so that you can still make a satisfactory monthly profit on a consistent basis. As an owner of the franchise, you will be provided with an expert floral designer who has been trained with all the market-winning designs and updated with the latest trends. What’s the process of applying for FlowerAura franchise? All you need to do is fill out the contact form, and one of our experienced Franchise specialists will be reverting you within one business day to let you know the next step in details. How much profit will I be able to make? FlowerAura will provide you the orders of your area with the minimum guarantee of RS 50,000/, provided you will follow all the SLA given at the time of the agreement. How much does it cost to open up a Franchise? Well, it depends on the size of the franchise. Would you accept my existing flower store? Yes, we would love to work on your existing floral store. Do I need to have any particular skill to start your franchise? It’s not necessary to have any prior floral design experience as we welcome people with any.